Most of us want to believe we have a pretty good handle on our money. Oh sure, we may splurge on the occasional overpriced coffee, but in general we practice sound principles of saving where we can, and at least trying to plan for our future financial well-being. We don’t fall victim to obvious scams, and we know that if something seems too good to be true, it probably is! But money mistakes can happen to the best of us, even when we think we are being smart. How? Simply put, the financial world is full of ideas that might seem beneficial at first glance but are actually quite costly in subtle ways. And while these sneaky money drains can take a toll, they are also easily fixable once identified. Today let’s take a look at ten of these common money mistakes you might be making — and exactly how to fix them. If you’re married, which of you is in charge of the money? This might seem to have an easy answer: in many cases it’s the one who earns more—or the money nerd who enjoys the job. But having just one person in your family who does it all should be a red flag. If the main money manager dies or is disabled, who would pay the bills? Often, when only one partner takes care of everything, the other is in the dark — no place to be while dealing with a medical crisis or, worse, a funeral. And while we always want to trust in our spouses, there is nothing wrong with a little accountability! So how do we avoid this disaster-in-the making? 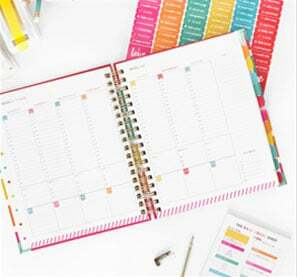 First, create a centralized record with all account numbers, dates, amounts to be paid, addresses, etc., and make sure everyone in the family knows where it is. Second, according to the Allstate financial experts we questioned, it is also important to make sure you have set aside a certain amount of money for an emergency fund that both partners have access to. 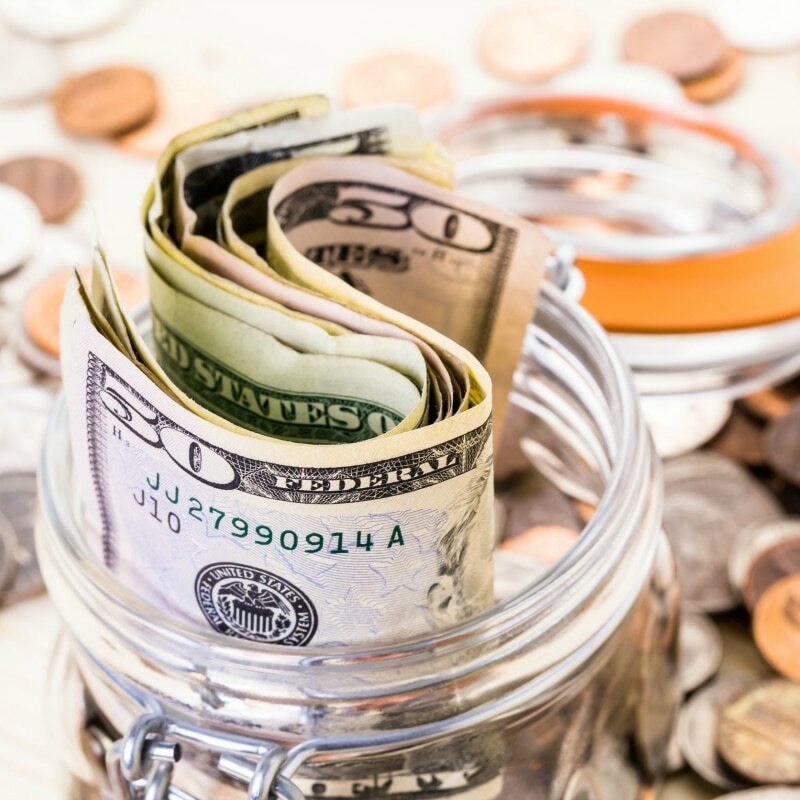 You never know when unforeseen bills or a sudden layoff might occur and having an emergency fund can cover the entire cost or at least alleviate much of what is owed. No one wants to be stuck with a 10K hospital bill unexpectedly, but having an emergency fund as small as a couple thousand dollars can really help in these situations. Many parents don’t want burden their kids with financial concerns, or don’t even think it is possible to teach their kids about money when they’re small. Unfortunately this approach means kids often have fuzzy ideas about spending and saving, and especially about exactly where money comes from. Until, of course, they get their first “real” job…and then they’re barraged with “easy credit” offers that aren’t easy to resist! Fortunately, teaching kids from early age that money comes from work is a great way to teach money basics, with the additional benefit of being a tangible start on sensible money habits for life. Our Allstate experts warn parents to avoid becoming an ATM for their children, pointing out that bankrolling your children’s every whim doesn’t do them any favors and even worse, actively damages your bank account. Providing them with all of their needs sets a precedence and can put you in a financial scramble. Instead, set up a commission system in your home, where your kids can earn money for the work they do, and where they also have to take responsibility for purchasing the things they want with money they’ve earned themselves. Giving your children the gift of financial independence is one of the best things you will ever do for them. As much as we would like to sometimes bury our heads in the sand, some of the biggest financial crises come from avoiding small issues until they become big ones. Even if you’re not the money mogul in the family, pay attention to the financial details, even when they seem tedious or overwhelming. Know what you’re entitled to on taxes, insurance claims, and the like, and how to file for it. 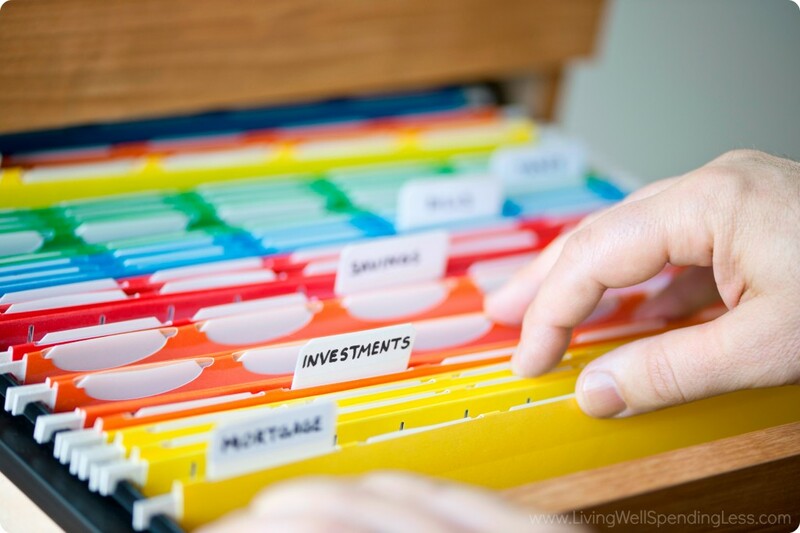 If you’re not sure what you are entitled to, or how to handle a financial issue, do your research. Ask a trusted friend or financially savvy acquaintance for assistance, or find some other way to learn what you need to know. You can learn how to save on taxes, for instance, from free seminars at libraries or local colleges. Ask questions of a local tax preparer, or call the IRS directly; they DO answer questions! The same goes for your insurance broker: get all the rate “breaks” that come with safe driving, maintaining good health, and keeping your credit in order. Like ignoring other financial essentials, not paying attention to the details of your employee benefit package can come back to haunt you, usually at the worst possible time. Really read employee benefit handbooks and know what you’re entitled to. Yes, we know that can be tough, but once again…it pays off when you need it the most. When you file a claim, have all your forms and documents in order, so you don’t need to chase information under a tight deadline or risk getting denied on something that’s rightfully yours. No one wants to feel stupid, which means that often it seems easier to just do nothing than to try to figure out the meaning behind big scary financial terms and acronyms such as annuities, compounding interest, IRAs, mutual funds, etc. If you don’t understand any complicated terms, ask. Badger those n the know until you understand all the ins and outs of what your benefits are, what your premiums buy, and what’s excluded. Don’t be afraid to comparison-shop for health, life, home, and auto insurance coverage (start with these smart ways to save on home insurance and save on car insurance), and be sure to ask your agent for all applicable discounts. Speaking up versus staying silent can add up to thousands of dollars over time. 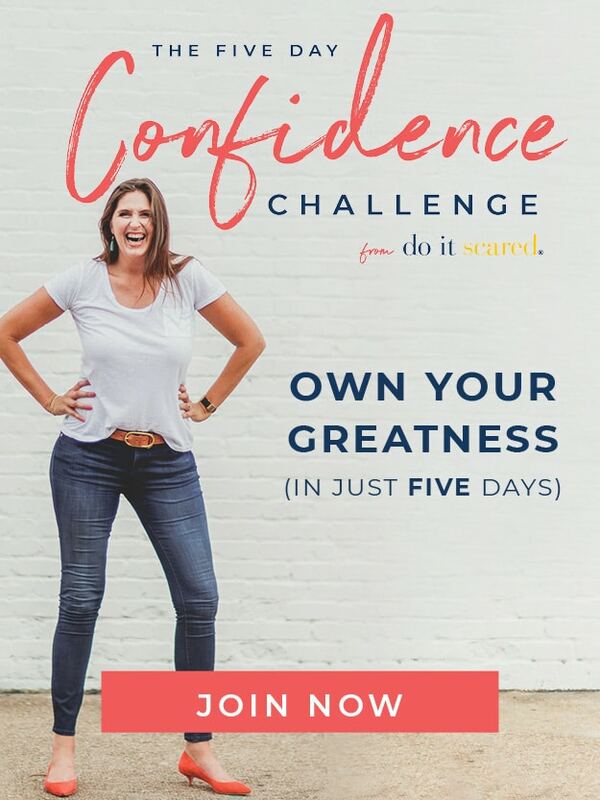 What have you signed up for lately? Subscribing to a bunch of different services, product deliveries, and reading material is way too easy — especially when it’s done electronically. Then, the bills hit your credit card or bank account and you wonder what happened! Remember that when you sign up for a free trial, it is just a trial–you will have to pay eventually. Record pertinent info on a computer desktop sticky note, on a list in a document file, or even on good old-fashioned paper in a small notebook. Then, regularly check that list for expiration or renewal dates; it’s easier to cancel a potential charge than reverse it later on. Even if you’re keeping the subscription, review it often. Publications often raise subscription rates by “just a little,” but over time, that “little” adds up. Another drain off the budget can be paying too much for anything — car or home repairs, an appliance, a clothing or gift item, or a service. Sometimes we pay more than we should out of boredom, or because we need to solve a problem fast, but often saving money on the things we need most is a matter of doing our due diligence and spending smart. Shop around, get recommendations, and beware the convenience of shopping without thinking. Your grocery store may also carry office supplies, jewelry, or tools, but resist the urge to pick those things up while you’re there anyway, but stocking up on office supplies during the back-to-school sales means getting paper, printer cartridges, or pencils for a fraction of what you’ll pay the rest of the year, particularly at a store that doesn’t specialize in those items. The same goes for automotive accessories, hardware, housewares, and pet gear. You’ll not only give yourself a better selection but a better bargain by going to the right store. Furthermore, for bigger ticket items, our Allstate financial experts recommend buying used or refurbished, if possible. When it comes to phones, electronics, and even cars, it is almost never necessary to have to have the newest, flashiest item. Purchasing 1 or 2 year old used car can save a lot of money over purchasing brand new. We’ve all heard the saying of how a car loses a large portion of its value when it’s driven off the lot! On the other hand, choosing to purchase lower quality items that can’t stand the test of time is not only an exercise in frustration, it is literally like throwing money away. Know and appreciate when a premium price is an investment. Discount and consignment shops are great for getting high-end quality at a fraction of a high-end price, as are sites like Overstock.com. Fine furniture will last years beyond the cheap particle-board stuff in mail-order catalogs; the same goes for well-tailored clothing, well-made shoes, and necessary help from those aforementioned tradespeople. Purchasing high-quality, locally made items is almost always preferable to cheaper but often shoddier foreign alternatives. When it comes to a purchase that can affect your health, safety, or security, the best bargains in the world don’t come cheap! Always value quality over quantity. It happens to many of us: we wake up one morning and realize we’re living in a house that is more than we truly need — and costs the earth to maintain. Unfortunately, it’s easy to find ourselves here. Realtors almost always show us the nicest homes anywhere near our price range…and, usually, above it. The pressure to keep up with the Jones’ can be intense as well. We want to show the world we’ve succeeded, that we outdid a rival classmate or sibling. Unfortunately, buying too much house can quickly become a huge drain on even a healthy budget. The bigger the house, the more maintenance, the higher the utilities, and the more STUFF required to fill it. 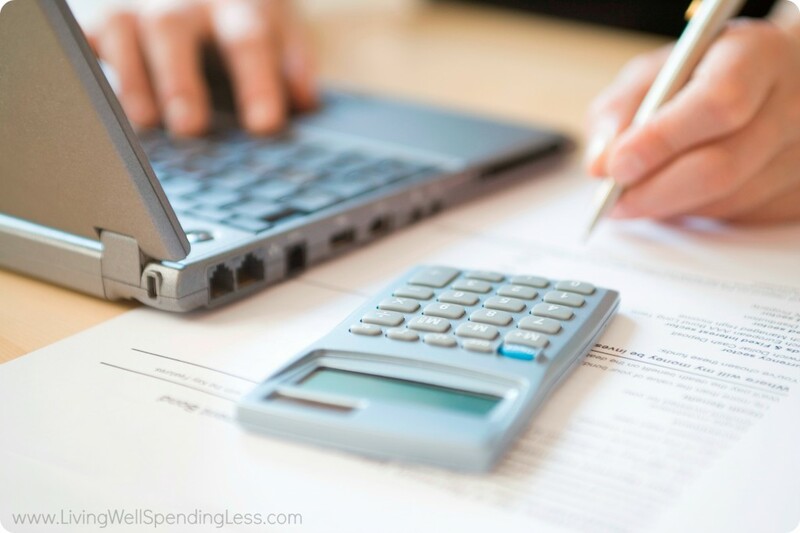 On the other hand, deciding to spend less than the recommended 28 percent of your budget has the the benefit not only of costing less, but of simplifying your life by letting you pare down your belongings to only the essentials. While I do believe in theory that it is possible to use credit wisely, I also believe that in practice it can be very, very difficult. 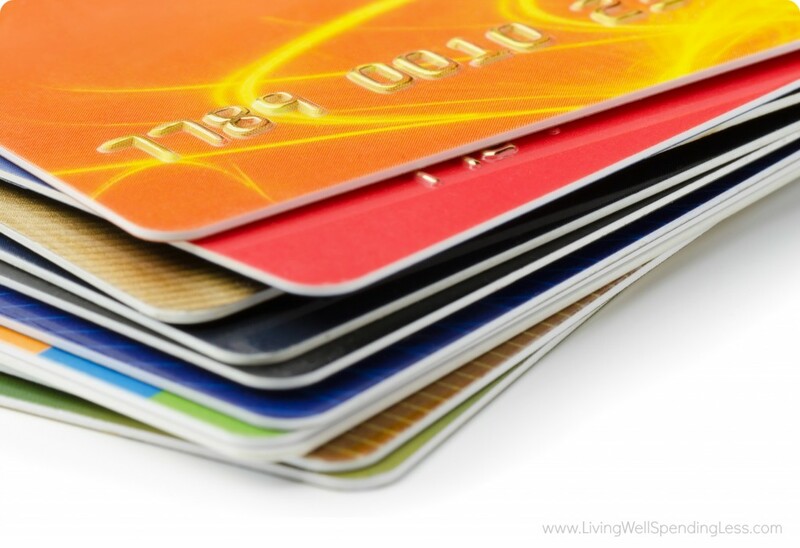 Credit cards are not designed to save you money, they are designed to earn a healthy return for the creditor. Don’t be fooled by discount offers that are only available when paired with credit, such as a store offering 10 percent off on purchases with a charge application. Unfortunately, 10 to 20 percent off, balanced against an annual interest rate of 18 to 22 percent (or more! ), will never result in tipping the cash flow in your favor! Annual or activation fees, maintenance charges…the list of ways credit cards “ding” your pocketbook is endless. And, unless you have iron discipline and pay the entire balance before it’s due, anything bought on credit is always more expensive than a cash purchase. So, as tempting as that discount might look, think again. It’s an expensive way to “save,” one you can easily avoid with a little thought. Furthermore, according to our Allstate experts, it is important to avoid opening multiple lines of credit, if possible. The more credit cards you have, the harder it can be to keep track of all of the differing payments. Falling behind on payments is never a good thing, and high interest rates can make the amount you owe skyrocket. At the end of the day, when it comes to money it is not always what you earn that matters, but what you keep. Avoiding these ten common financial mistakes can help you keep more of your hard-earned money. This, in turn, leads to a life rich in things that truly matter: conscious stewardship, financial freedom, and peace of mind. 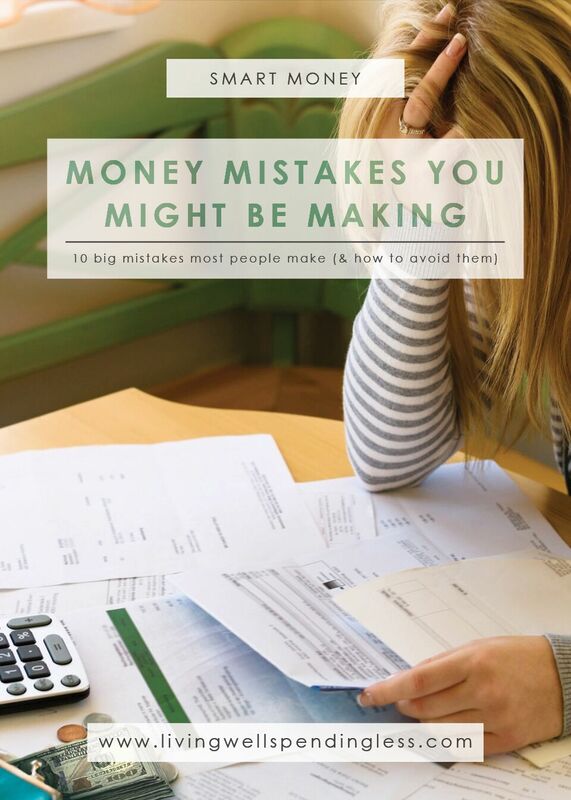 Have you been making any of these money mistakes? This post was written as part of the Allstate Influencer Program and sponsored by Allstate. All opinions are mine. As the nation’s largest publicly held insurance company, Allstate is dedicated not only to protecting what matters most—but to guiding people to live the Good Life, every day. This is a great list Ruth! While my husband was in law school, we took out lots of student loans because, well, that’s what you do. 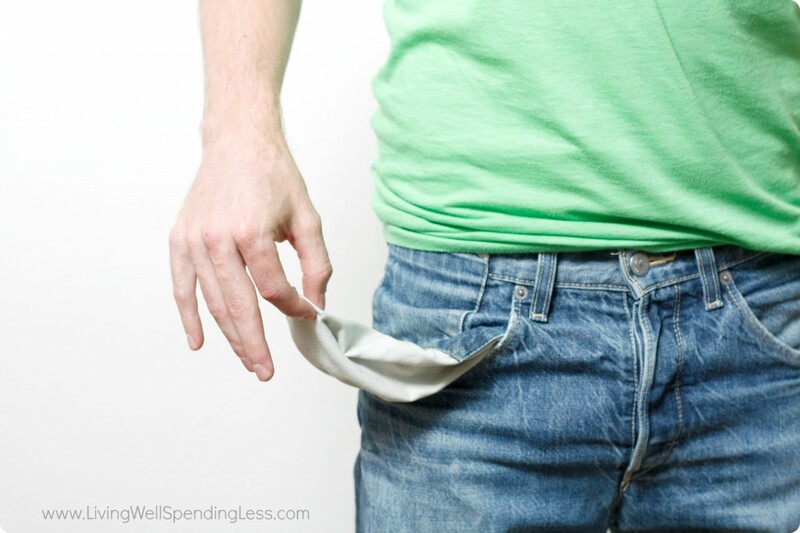 Even though we lived frugally, we ended up with a lot of debt. We knew that going in. My mistake (in the #3 category above) was ignoring the growing debt numbers until afterward. I figured I couldn’t do anything about it for the 4 years he was in school, so I just ignored the debt. If I had not buried my head in the sand, I bet I could have been even more frugal and come up with more ways to make money. This was very thorough! Thank you for the good tips. We made several of these mistakes in the first years after we got married. We’ve been slowly back pedaling from the massive amount of debt we accumulated and have made great progress. We are a lot more careful now with our financial decisions. Thank you for sharing this list. This is great list. Thanks for sharing this. I think Point #5 is especially relevant. A seller of any financial product has an obligation to explain what is being sold in terms the potential buyer can understand. Don’t be afraid to ask questions, and don’t be afraid to walk if you feel pressured to make a decision you don’t feel comfortable making. This is a great little list you have compiled. I was just talking with a client yesterday who was telling me how she does all the finances for her and her husband. I will forward this to her and to the Real Money community. I’m guilty of number 1 and number 6 . . . I do all the financing in our family. I do have a spreadsheet where I have all the bills organized and I show it to him every once in a while. He has a pretty good idea of where we are financially and asks about buying stuff and certain bills that need to be paid (like our hospital bill for our latest baby boy!) But I’m not sure how much he knows about how I pay the bills and which ones are on autopay and such. Number 6 we actually just went through and listed the stuff we pay for monthly and cancelled the stuff that we either don’t need or don’t really use. We saved like 100 bucks which isn’t much but that will pay for our utilities each month. Something is better than nothing right? This post offers so many insightful tips! Just brilliant. I like to think I’m pretty savvy but we all make mistakes and this post highlights the most common (and easy ones) to fall down with. Thanks. These are great tips. I know that I use them. The two that I could be better at are communicating with my spouse and kids. Need a little adjustment there! Have a great day! Great post Ruth! I absolutely loved your statement, “Credit cards are not designed to save you money, they are designed to earn a healthy return for the creditor.” So true. I know so many people that believe they are saving money by using credit cards, in fact I used to be one of them, until I was over $11,000 in credit card debt and not sure how I got there. I am guilty of many of these … I do spend money on good quality clothing that I wear over and over and over;0) That justifies it, right?! Actually, I have minimal clothing but great quality! Thank you for the reminders of what we should be doing! Oh my. You sound just like me. Quality over quantity. I would rather have few great pieces than a closet full of crap. Also, I shop rarely since I have a difficult time finding clothing that I “love” but when I do find a great item I make sure to purchase it. Great ideas! I’m pinning this. I would also caution the opposite of #1- taking care of the finances entirely on your own. I used to be fully in charge of finances in our house, and it caused resentment, unnecessary disagreements, and it wasn’t helpful for my husband. Over the past couple of years, we have started sitting down at the beginning of each month and making a budget together- this way we both know where the money is going. We are now working together as a team, and it has not only strengthened our financial situation tremendously, but it’s brought us closer as a couple as well. I wish wish wish my husband would sit down with me and talk about finances! I know that if we were to work together we could get ourselves completely out of debt in just a few years, but I do everything myself. Heather, it took many years of me praying like crazy before my husband finally took an interest in it. And the funny part is that by then I was so used to being in control of the finances that I actually resented it a bit, until God convicted me of the fact that He had answered my prayers, and I was being petty! lol. I listened to Dave Ramsey in the car, and that’s what got my husband finally interested– he found Dave Ramsey to be funny and wise. And here we are, debt free except our house, and hoping to have the mortgage gone before 30 years too 🙂 Good luck! This is a great list! My husband and I did all of these things before we realized we were heading toward serious problems. I still manage all of our bills, but I have automated as much as humanly possible. I set up a Mint account so my husband can see our day to day spending and bills and account balances. Our bank offers a free bill pay service, so all of our payees are listed with their information and the past payments are easy to see. If anything happens to me, my husband knows he can easily pull up our bill, account, and financial information. Technology keeps him involved without his having to actually do anything. Which works well for me (the money nerd of the family)! i agree to all of these!! Excellent post! Another point: not balancing your checking / debit account on a regular basis. With electronic bill pay and the like, it’s easy to forego balancing accounts. But it should still be done regularly. Otherwise, you may miss big mistakes and end up paying for them down the road. Worse yet, if you don’t check your accounts regularly and you fall victim to fraud, it can take even longer to clear it up. I think being on the same page as your partner is always the most important thing to financial success. If you make goals and are not supported by your partner they will go no where. Good post. While CC usage can be misused/mismanaged I would really encourage everyone to try this method. Your already going into X store with an X amount of money to buy something. When offered a CC with say a 20% off if you open one ask if it can be paid off right away. Most stores you can. ( I work in a nice dept store), many customers will buy something then right then and their use cash to pay it right off. What this does is eliminate that 29.99 % interest rate but keeps you in the loop of those really good coupons that will get mailed to you.